The California Dental Association and its 32 component dental societies, in keeping with their obligation of service to the public, have established a statewide peer review system. The purpose of the peer review system is to resolve disputes that may arise in the delivery of dental services to the public; in particular, disputes regarding the quality and/or appropriateness of dental treatment, utilization (problems related to dental insurance benefits when treatment is questioned), and/or potentially irregular billing practices. A peer review committee, comprised of CDA member-dentist volunteers, evaluates all available evidence pertaining to each dispute and follows specific procedures (listed below) to make a fair and impartial determination. The parties involved are then notified of a committee's decision by a letter of resolution. If any party to a review can factually demonstrate that a procedural error may have occurred, or that the decision was not based on available facts, an appeal to the Council on Peer Review may be requested. This appeal must be mailed within 30 days of the date the letter of resolution is sent. Any decision of an appeal panel is final and binding. The responsibility for conducting a review will be that of the local component dental society of which the dentist is a member and the California Dental Association. An Authorization for use and Disclosure of Health Information must be signed by the patient so that a review committee may legally obtain a patient's records. 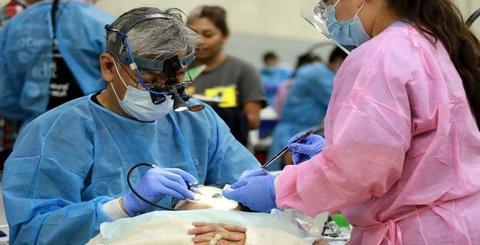 Unless the treatment in question cannot be evaluated (i.e., treatment has been redone and/or altered), the patient will be examined by a panel of at least three dentists. The patient will be given an opportunity to present any additional comments, usually at the time of the patient examination. The dentist is allowed to meet with the review committee if he/she chooses. All other involved parties (subsequent consulting/treating dentists, insuring entities) will be contacted for additional evidence if available. The peer review committee will evaluate all evidence available (patient examination results, radiographs, information from subsequent consulting/treating dentists, etc. ), and make a final determination. This will be communicated to all involved parties in the form of a letter of resolution. Involved parties will be provided an Appeal Criteria, if applicable, at the time the letter of resolution is provided. Although the peer review system can satisfactorily resolve the majority of complaints received, there are limitations which may make a complaint inappropriate for the system. Excessive passage of time alters clinical conditions. Therefore, a complaint will not be reviewed if it is received more than three years from the date treatment was completed, or more than one year from the date the complainant became aware of the problem, whichever occurs first. The peer review system is designed to resolve patient/dentist disputes. Consequently, no inquiry will be accepted for peer review if either party has initiated litigation (including small claims court); have initiated or have gone through a formal arbitration process and/or both parties have signed an arbitration agreement concerning any aspect of the dental services which might otherwise be reviewable. Requests for reimbursement for time lost from work, pain and suffering, mileage, and medical expenses cannot be accepted in the peer review system as it is not a punitive system, but rather an evaluative one. A peer review committee may not comment on a dentist's fees. To do so may be construed as price fixing. Questions concerning matters other than dental treatment (e.g., a dentist's attitude, communication problems, etc.) are outside the purview of the peer review system.